Sarah lives in Richmond, Virginia with her husband, four rescued greyhounds, and many fish. 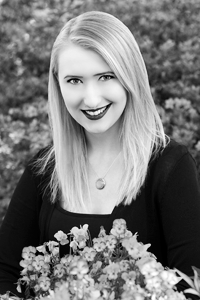 She is the author of Fear The Drowning Deep, the Reign Of The Fallen duology, and several picture books. Ever since I read my first fantasy book as a little girl, I’ve wanted to go on a quest. To have adventures, carry a sword, and save the day, emerging changed for the better in the end. Of course, there weren’t any dragons to ride, monsters to slay, or princes in need of saving when I was growing up, but I figured I could at least live vicariously through books. After all, dealing with the problems of faraway, imaginary places somehow made facing real-world problems more bearable. Yet I couldn’t really picture myself on any quest in the books I read. I loved sweeping epics like The Lord Of The Rings, yet I couldn’t fully identify with Aragorn or Frodo or even loyal Samwise. There were characters in those stories who did reflect a little bit of me, like the daring Eowyn — but while she played an important role, she wasn’t part of the quest. She didn’t get to have an adventure. Those were — it seemed after reading so many stories — reserved for the boys. …It was love at first read. Many of the female characters I’d read in other fantasies — even the strong ones — felt slightly flat for one reason or another. And more often than not, they weren’t the stars of a quest; they were side characters. But Sabriel, the main character in Garth Nix’s fantasy about a girl who battles the Dead and other monstrous things, was different. She leapt off the page and into my head as a fully-formed person with her own goals, her own life, her own set of morals. Don’t get me wrong, she isn’t perfect. She questions, gets angry and wants revenge, and at times, shows her vulnerability in a dangerous world. But those things just make her human, and all the more relatable. And through every challenge she faces, Sabriel — sword-wielding badass that she is — is in control of her future. On a quest to save her father, she makes her own choices while rescuing a handsome prince, and takes on more responsibility than she initially bargained for when setting out from school to find her father. A girl in charge of her own quest, Sabriel changed my world and made me want so much more from every fantasy I read thereafter. Then came Lireal. The sequel to Sabriel follows a girl who lives among the Clayr, a group of future-seers. A girl who just wants to fit in with her preternaturally-talented peers. The trouble is, Lirael doesn’t have the Sight like her friends do, and it hurts her deeply to feel like she doesn’t belong with them. She questions whether she belongs anywhere at all, and eventually finds a place for herself…just not the one she’d always anticipated. As I tried many things to find my place in high school, from cheerleading to immersing myself in the Harry Potter fandom, Lirael’s struggle to figure out where she fit in and what she wanted made me feel less alone as I wondered the same. I returned to The Abhorsen Chronicles again in college, after being diagnosed with type 1 (juvenile) diabetes, a disease that often made me feel like I didn’t have control over my life. Reliving Sabriel’s journey, watching her take control no matter what horror was thrust upon her, reminded me that any darkness can be overcome at a time when I needed to hear that message most. And reliving Lirael’s journey, her attempts to find where she belonged, made me feel less alone all over again as I struggled with not loving my college major and wondering what job was out there for me if I didn’t use the skills I’d been learning (I didn’t figure out that the answer was ‘being an author’ for quite some time!). I still return to Sabriel’s and Lirael’s stories to this day. And every time I do, I’m suddenly fourteen again, thrilled to be going on a quest with two take-charge heroines who make their own ways in the world and inspire me to do the same. Are YOU a fan of Garth Nix’s The Abhorsen Chronicles? Great news! Sarah has a new duology forthcoming from Penguin/Razorbill, Reign Of The Fallen, which was inspired by this very series! These books are described as “A talented necromancer must decide whether to save or help destroy the change-averse society crumbling around her.” and can be found on Goodreads Here! Soon, people in Bridey’s idyllic village begin vanishing, and she finds an injured boy on the shore — an outsider who can’t remember who he is or where he’s from. Bridey’s family takes him in so he can rest and heal. In exchange for saving his life, he teaches Bridey how to master her fear of the water—stealing her heart in the process. 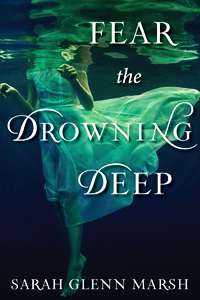 But something sinister is lurking in the deep, and Bridey must gather her courage to figure out who — or what — is plaguing her village, and find a way to stop it before she loses everyone she loves.